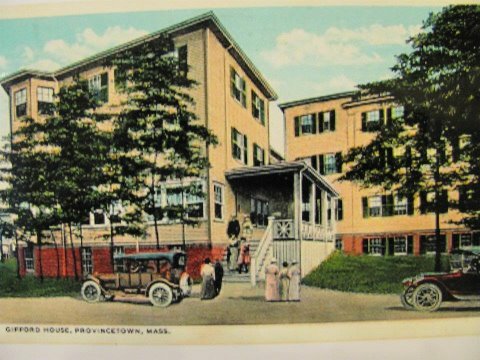 The Gifford House Inn celebrates a history of over 155 years in Provincetown. The original hotel was the last stop for the stagecoach as early as 1858. For years it served the arrival of three trains a day, and has always been a refuge for the passengers of the many ships that lay in Provincetown Harbor. In their day, Ulysses S. Grant, Theodore Roosevelt, William Taft and the Vanderbilt family all chose to stay at the Gifford House Inn. Ulysses S. Grant stayed here on July 22, 1871, the day the first train came into Provincetown. Situated on one of the highest points in Provincetown, this grand building houses many rooms that look out on a spectacular vista of Long Point and beautiful Cape Cod Bay, while other rooms have striking views of the Pilgrim Monument.